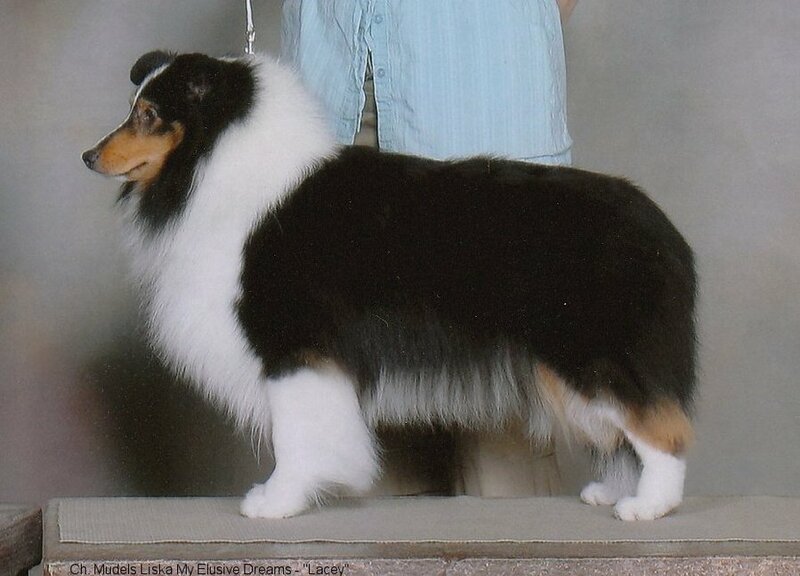 Lacey completed her championship at 2 1/2 years - thanks to Karen Chant for the expert handling! 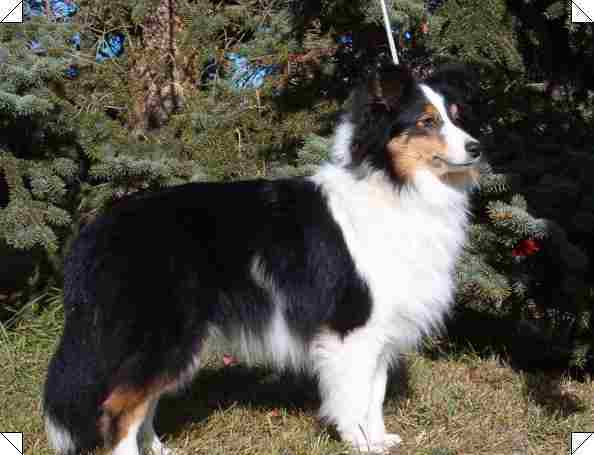 She is co-bred and co-owned with Brenda Muddle of Mudels Shelties, and lives with Brenda. For those who wonder why I call Lacey a blue merle - see the vertical strip behind her front legs? 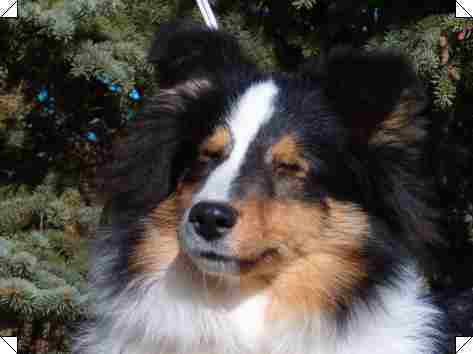 It's blue merle, not white!